Jessica Bockler is the Director of Creative Alternatives. 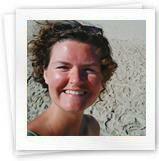 Jessica is an applied theatre practitioner and psychologist with a background in Transpersonal Psychology. She is co-founding director of the Alef Trust which provides transformative education and community programmes to serve the emergence of new paradigm science, nurturing the development of human consciousness and culture. Jessica has extensive experience of creative programme management and multi-modal arts facilitation in community, education and health contexts. Jessica specialises in transpersonal and somatic approaches to creative practice, combining expressive multi-modal arts work with practices enhancing mindfulness and body awareness. Jessica has a PhD in Psychology from Liverpool John Moores University. In her research she explored “Theatre as a Transformative Practice”, examining the psychosomatic dynamics of self-expressive performance practices. Her research contributed to the theory of psychosomatics in healing and personal growth and to the understanding of transformative and transportative effects of theatre-based work in community, corporate and therapeutic settings. Her interests include: creativity & psychopathology, somatic psychology, drama & conflict resolution, Jungian psychology and mindfulness.Jessica’s life and work are further nurtured by her study of the Japanese martial arts Aikido and Iaido with Ezra Shihan at Komyokan Aikido Association. Helen Holden is the Project Coordinator for Creative Alternatives in St.Helens. She established herself as a freelance project manager in 2013 and has since managed community engagement projects using creative activities that not only provide social activities for people with lived experience but that have actively tackled stigma and discrimination that surrounds mental health. Helen previously worked at National Museums Liverpool for 12 years in education and community focused roles. Whilst there she managed a diverse range of arts based programmes that used a wealth of cultural assets to improve the health and wellbeing of the participants involved. Some of the initiatives she was involved with include a dementia awareness training programme, a creative engagement project for teenage parents and ongoing outreach programmes for Merseycare service users. She has also worked and volunteered within the third sector, co-ordinating and delivering arts access projects for adults with learning disabilities and mental health problems. 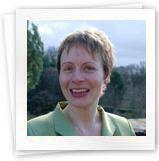 Helen has a degree in Fine Art and has also undertaken training and qualifications in counselling and teaching. She is passionate about using the arts and creative approaches as a way of developing individuals and communities and truly values the importance of a person centred approach in all her work. Sheryl Clowes is the Project Support Worker for Creative Alternatives in St.Helens. Sheryl has been part of the team of Creative Alternatives team since 2007 working as both Referral Officer (maternity cover) and Artist for the Sefton strand of the programme. Sheryl has worked with various client groups including the homeless, young offenders, clients in palliative care, clients with dementia and children and young people with complex needs. Sheryl has worked extensively coordinating community and outreach projects for community radio (Radio Regen & Wythenshawe FM), Urbis museum and The National Media Museum and was the project manager of Cardboard Citizens North. Sheryl has also worked in Romania on a pioneering dramatherapy and playtherapy project and spent six months living and working in India facilitating community drama and storytelling projects. 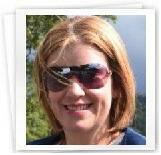 Sheryl holds a degree in theatre and has certificates in both dramatherapy and counselling. She is also a trained writer and mindfulness for health teacher. Sheryl believes passionately in the arts as a tool for learning, empowerment and play and fosters a person-centred and creative approach. Sheryl is excited about the application of mindfulness based approaches to the creative arts and is currently working towards becoming a fully accredited Breathworks Mindfulness Teacher. Additionally Sheryl is currently training as an Occupational Therapist at Salford University. All of our workshops are delivered by artists who we commission on a freelance basis. All of the artists have experience of working in community and health settings and each brings to the project a particular expertise, e.g. drawing, dance, sculpture, or photography.